Bill Burke is a founding member of Unruh Turner Burke & Frees, and has been practicing real estate and business law in Chester County for more than three decades. Bill advises on commercial and other real estate transactions and development initiatives, corporate and business acquisitions, taxation, 1031 exchanges, and general business representation of closely held companies. Bill is a trusted adviser who serves as a balanced sounding board to everyone around him. He is valued by clients and colleagues alike for his legal intellect, practical approach to problem-solving, business judgment, and skill in negotiating and closing sophisticated transactions. Bill is at his best when negotiating complicated real estate or business transactions and tackling complex real estate title problems or other challenges that might arise in a deal. Practical and thoughtful, Bill personally cares about realizing each client’s objectives. A direct communicator, Bill tells his clients what he thinks and what he believes are reasonable expectations and outcomes for the matter at hand. As a result, clients appreciate his honesty, transparency and straight-forward approach to problem-solving. Bill’s clients include privately held commercial real estate developers, homebuilders, land trusts, closely-held businesses, investors and individuals. He represents such clients in connection with the acquisition, sale, financing, leasing and development of commercial properties and land intended for residential, commercial and retail development. He advises clients on the structure of, and creates documents pertaining to, residential and commercial condominiums and planned communities. He represents conservation organizations as well as landowners in the negotiation, interpretation and enforcement of conservation easements. Bill also represents closely-held businesses in connection with the formation and governance of business entities, and drafting organizational documents such as partnership agreements, operating agreements and shareholder agreements, as well as in connection with business sales and acquisitions. In addition, he represents both financial institutions and borrowers in connection with the documentation and closing of construction, acquisition and other financing transactions. 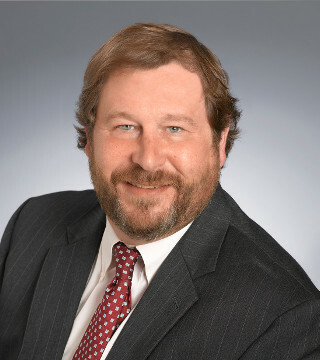 Bill has been listed numerous times as a “Pennsylvania Super Lawyer” in Philadelphia Magazine, and as a “Top Lawyer” by Main Line Today Magazine. He holds a preeminent “AV” rating from Martindale Hubbell, recognizing superior legal ability as judged by his peers. Bill is also an occasional lecturer for the Pennsylvania Bar Institute on matters relating to real estate transactions.